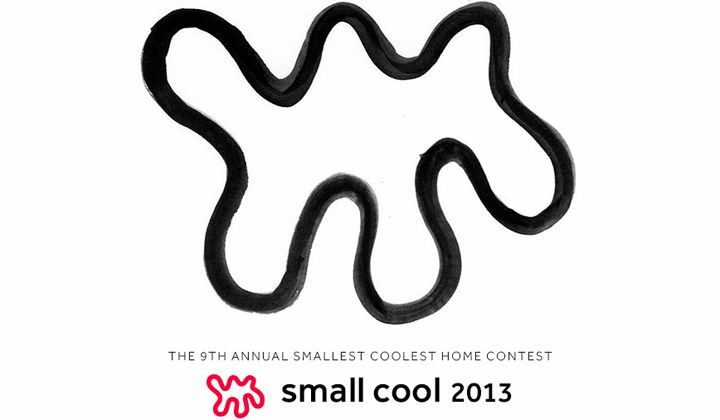 Much to my dismay, I learned a little too late about Apartment Therapy's Small Cool 2013 contest to enter. The annual contest is for people with homes under 1000 sq. feet and there are five divisions: Teeny-Tiny (<400), Tiny, (<600), Little (<800), Small (<1000) and International (<1000). When I heard about the contest I knew our little bungalow would meet the size requirement, but we had no idea how many square feet it was until we measured it. As it turned out, we have 340 sq ft of "livable" space and the whole place only measures about 390 externally! Still, somehow, it never feels teeny-tiny to me! As of today, there are about 28 entries in our category (<400), and there are definitely a lot of boring similarities. Chevron plays a part in multiple entries which seems counter-intuitive to me because I feel like it creates chaos and makes a space feel smaller. Ikea furniture and fixtures popped up in many of the entries, as is to be expected I suppose since Ikea's target audience is people with small, temporary living situations. Chalkboard is pretty popular in kitchens and offices. And a lot of popular prints, such as the For Like Ever poster showed up in several entries. After viewing all 28, I honestly think that our place is the coolest of small spaces! But since I was too late to enter The Sunset House this year, I thought I'd share some of my favorites from the Teeny Tiny category. I'm normally not a fan of white walls, but when walls have as beautiful paneling as Stephanie's, I'm willing to make an exception. I love that she makes up for it with such bright pops of color. Especially the "For Like Ever" poster that keeps popping up on blogs these days. Turns out you can get it from Super Rural for, like, $60 bucks. 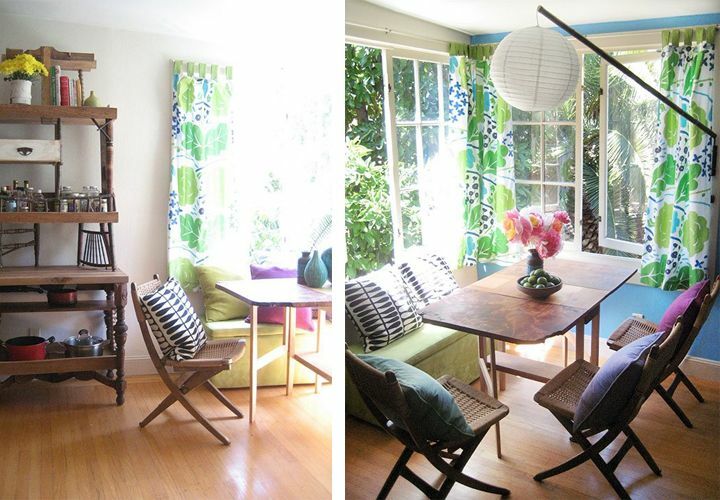 The rest of Leah's apartment is not quite my style, but this sunny dining room section is right up my alley. I love breezy, cozy areas in homes, one where you could have a bunch of people sitting around but not feel cramped. Christopher's apartment in West Hollywood is kind of bold and dark, but what I like about it is how unique it is. It definitely has a personality of its own and you can see that every piece was selected with care. 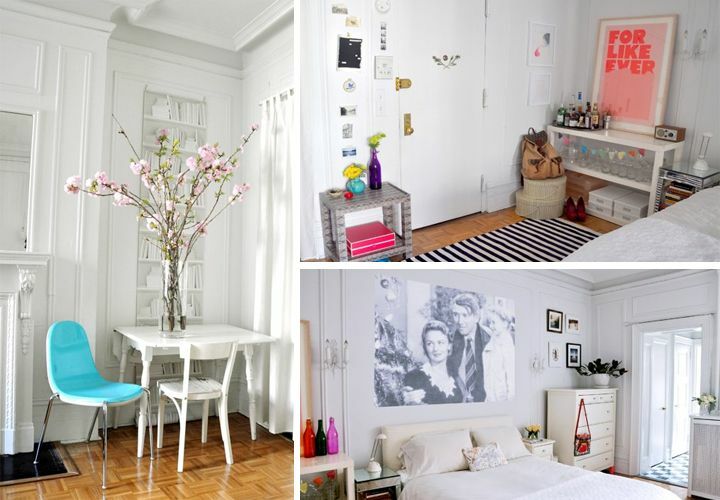 I love when apartments as eclectic as his. It seems to give the space energy. The room I love most in Kathryn's apartment is the kitchen. I have the same idea as she does, to collect colorful pots and cookware to display on the wall, and I'm in the midst of that now. 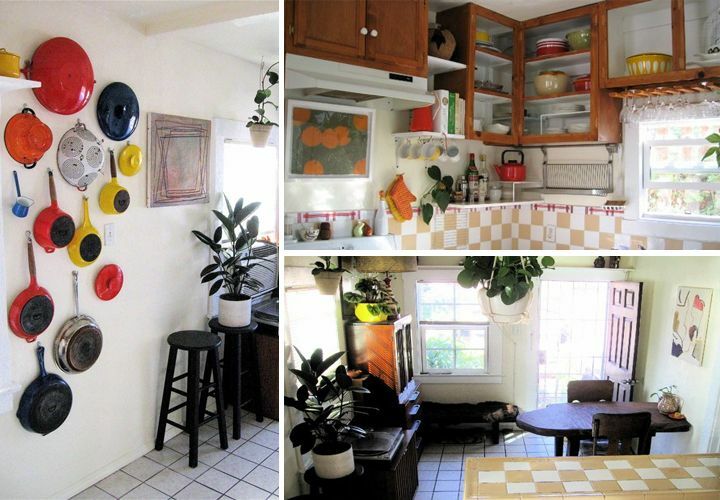 I LOVE her cupboards, the wood with open shelving so you can display pretty dishes. And last but not least, I'm a fan of all their houseplants. I hope to eventually have a number in our kitchen as well. 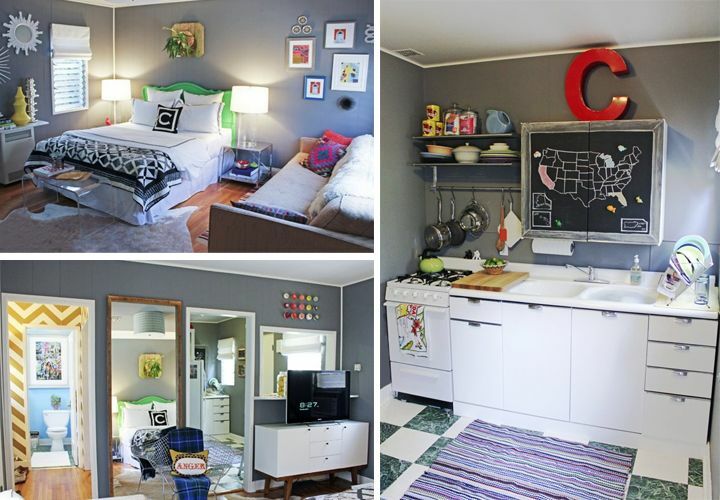 Of course, entries like this completely remodeled Airstream mobile home and this handbuilt house deserve the majority of the votes since the monetary prize that comes with winning the contest could help them out a lot more than any of the rentals that entered. Which one is your favorite? How many square feet do you have?